Canada has all the ingredients needed to take advantage of the coming artificial intelligence revolution – a shift that promises to supercharge the growth of a wide range of industries from transportation to health care, according to Jensen Huang, the CEO of graphics chip giant Nvidia. 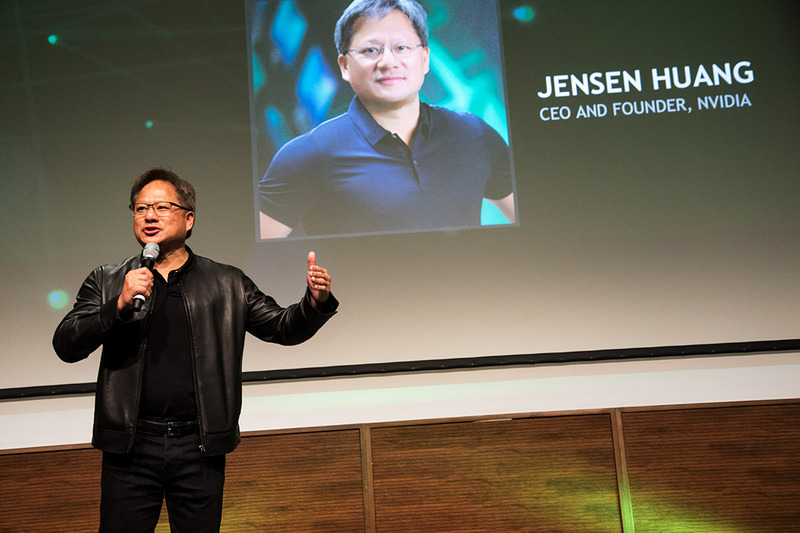 Huang, who spoke at an event celebrating Nvidia’s new Toronto AI lab, lauded Canada for its potent mix of top AI researchers and an innovation sector that encourages collaboration between business, academia and government. “The [AI] talent here is incredible,” Huang told a packed auditorium at the MaRS Discovery District last Friday. One of those top AI minds is the University of Toronto's Sanja Fidler, an expert in computer vision and applied machine learning. Back in June, Nvidia revealed it had tapped Fidler to be its new director of AI research in Toronto while remaining an assistant professor at the University of Mississauga's department of mathematical and computational sciences. Fidler is one of several U of T researchers whose work has contributed to the university's reputation as a leading global hub of AI research in recent years. While Nvidia’s graphics processing units, or GPUs, were originally designed for video games, the chips have increasingly become the hardware of choice on which to run data-intensive machine learning applications. That, in turn, has propelled Nvidia into a range of high-growth sectors, ranging from advanced robotics to self-driving cars, and has put it in competition for top talent alongside firms like Google, Uber, Samsung and LG – all of which have established AI resarch labs in Toronto with a connection to U of T.
Huang, who co-founded Nvidia a quarter century ago, laid out his vision of how AI will transform a wide range of businessness and industries, predicting it would unleash a period of unprecendented economic growth. Other speakers noted Toronto's emergence as a hub of AI research activity was no accident. “It didn’t just happen magically,” Vivek Goel, U of T’s vice-president of research and innovation, reminded the audience before Huang took the stage. Supported by government funding, pioneers like U of T University Professor Emeritus Geoffrey Hinton, now known as the “godfather” of deep learning, and his students toiled away for decades on a then unpopular branch of AI that attempted to mimic how the human brain learns. At the same time, Canada quietly began building infrastructure needed to transform its research into products and services in the commercial realm. More recently, U of T partnered with industry and the federal and provincial governments to launch the Vector Institute for Artificial Intelligence, which is designed to attract and retain top AI talent. The breadth of research taking place at U of T, one of the world's top-ranked public universities, has also translated into an AI advantage for Canada's largest city, according to Goel. That's because it allows AI researchers to work across disciplines with experts in medicine, law and even music to create novel AI applications. Goel cited the following U of T startups as examples: Deep Genomics, which uses machine learning to find treatments for genetic diseases, and Blue J Legal, which uses machine learning to predict the outcome of tax and employment law cases. The end result has been a boom in Toronto’s tech sector, which added more jobs than any other North American city last year, according to a recent report by commercial real-estate firm CBRE. “Ontario is very proud of its AI roots – the godfather of AI, Geoffrey Hinton, did much of his research at the University of Toronto and was instrumental, along with many others, with the founding of the Vector Institute of Artificial Intelligence,” said Jim Wilson, Ontario’s minister of economic development, job creation and trade. U of T, meanwhile, has endeavoured to work out formal and informal partnerships with many of those companies. The arrangements typically allow researchers to split their time between academia and the private sector, giving them access to a wider range of resources. Goel called it a “brain retain” strategy. “It's a great pleasure to welcome Nvidia into the ecosystem we've been building,” he said.